Agnes Joyce Wagner, 82, of Dubuque, IA, died Friday morning July 13, 2018 at home, surrounded by her loving family. Services will be at 9 a.m. Tuesday, July 17, at Nativity Catholic Church in Dubuque, with the Msgr. Jim Miller as celebrant. Burial will be in St. Michael’s Cemetery in Galena, IL. 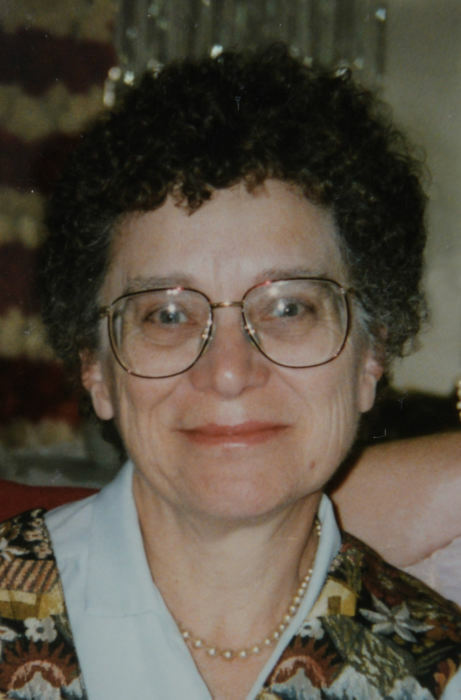 Friends may call from 4 p.m. to 7 p.m. Monday, July 16, at Leonard Funeral Home & Crematory, 2595 Rockdale Rd, Dubuque, where there will be a wake service at 7 p.m.
Agnes was born in Denver, Colorado on February 11, 1936, and was adopted as an infant by Steven F. and Mary Connor Tesar. She attended St. Michael’s school in Galena, IL as a child and graduated from the Academy of the Visitation in Dubuque. She then attended St. Ambrose College in Davenport, IA, receiving her RN degree in 1956. She married John D. Wagner on Dec. 29, 1956, at Nativity Church and they celebrated 53 years of marriage together. Before her retirement, Agnes worked for close to 30 years as a Pediatric Nurse at the Finley Hospital, Dubuque. Surviving are her eight children: Steve (Bev) Wagner of Dubuque, Jeanne Petko of Dubuque, Joyce Wagner of Hickory, NC, Cynthia (Larry) Hoppman of Dubuque, Marian (Mark) Arthofer of Zwingle, Joseph (Deoli) Wagner of Anamosa, David (Kerri) Wagner of Kelley, Daniel (Angela) Wagner of Sarasota, FL, fifteen grandchildren: Phillip (Amy) Wagner, Rachael (Sean) Pankuch, Tara Petko, Mason (Laura) Meyer, Shana Meyer, Stacie Hoppman, Simon (Rachel) Hoppman, Shannon Hoppman, Ben Arthofer, Sara Arthofer (and fiance Zac Klostermann), Andrea Arthofer, Emily Wagner, Obie Wagner, John Wagner, and Hannah Wagner; 9 great grandchildren; and her brother, Br. Joseph Tesar who was also adopted. She was preceded in death by her parents and husband. Agnes was known for her loving and caring heart, always caring for others and helping those in need. She loved spending time with her family. She was a wonderful wife, mother, and grandmother. She was loved by all and will be dearly missed. The family wishes to recognize Mary Wand, Cathy Waddick and Mary Story, Agnes’s regular caregivers, that have been her “angels” for the last several years and have become a part of our family. May God bless you abundantly! In lieu of flowers, an Agnes Wagner memorial has been established.